Apparthotel Fux in Vetzan - Schlanders - is located in the sunny Vinschgau, surrounded by a unique mountain landscape in the Stelvio National Park. During your stay in our house, you'll find everything you want for a relaxing holiday! You can freely choose your favorite accommodation type: only room or room and bed and breakfast. Our new apartments are built in traditional style with natural wood and all have a balcony facing south or southwest or roof terrace, separate bedroom, living room, bathroom/WC, living room with double bed, kitchenette, coffee machine, kettle, fridge, electronic oven, satellite TV, safe, lift. 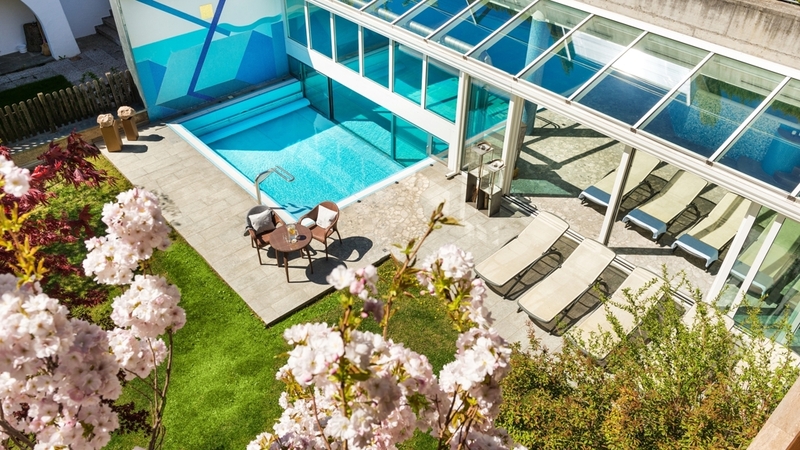 For lovers of well-being, our Apparthotel Fux also offers 3 saunas, whirlpool and indoor and outdoor swimming pool with pool for the kids! In summer the best is to lie down in the sun in our inviting garden! 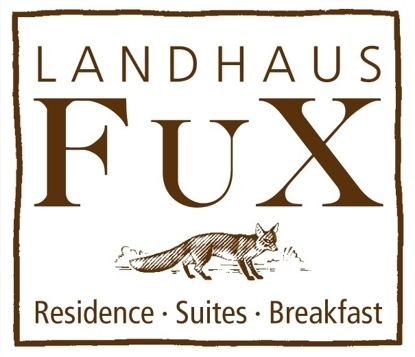 The Fuchs Family of Apparthotel Fux will be glad to welcome you! 23 qm, balcony or terrace. Double bed, sitting area, tea table, Sat/TV, safe box, phone, shower/WC. 35 qm, south balcony. Living area with kitchen and eating place, double bed, double couch bed, safe box, Sat/TV, bathroom. The daily price is for 2 persons. 40 qm, terrace or balcony. Living area with kitchen and eating place, douvle bed, couch double bed, chair and tea table, Sat/TV, safe box, phone, shower/WC. The daily price is for 2 persons. 42 qm, south balcony. living area with kitchen and eating place, couch (double bed), tea table, Sat/TV, safe box, bathroom and a separate small doublebed room. The daily price is for 2 persons. 44 qm, balcony or terrace. Living room with kitchen and eating place, double bed, couch (double bed), chair and tea table, phone, Sat/TV, safe box and bathroom with shower/WC. The daily price is for 2 adults or 2 persons. 48 qm, roof terrace or balcony. Living area with kitchen and eating place, couch (double bed), Tea table, Sat/TV, safe box. Bathroom with shower/WC and a separate double or three bedroom. The daily price is for 3 persons. 54 qm, 2 panoramic balconies. Appartment like B country hous but with a comunication door to a separate double room with shower/WC, Sat/TV, safe box, phone and sitting area. The indicated price is for 4 people per day. 74 qm, with 2 balconies. On 2 floors. The daily price is for 4 persons. 36 qm, with terrace to the pool. Room with double bed, couch bed, Kitchen area and eating place, Sat/TV, safe, phone. Bathroom with shower/WC and hairdryer. 72 qm, with a spacious panoramic terrace. With comunication door to a separate double room with shower/WC, Sat/TV, safe box, phone and sitting area. The indicated price is for 4 people per day.